The Southernmost City of the U.S. is a 2 by 4-mile island, which features distinct neighborhoods that offer their own unique personalities and charm. 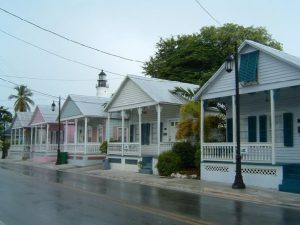 While the island is very small, where you stay during your time here plays a huge role in shaping your Key West experience. Knowing more about the various neighborhoods on the island will help you to choose the best fit for your family or group. Read on to get a feel for which Key West neighborhood is right for you. Old Town Key West is the heart of the island and is widely considered by visitors to be the most desirable neighborhood. The world famous Duval Street runs right through the center of Old Town. Here, you’ll find many of Key West’s top restaurants and attractions. If you want to experience what it’s like to really live in the “Conch Republic”, Old Town is where you’ll want to be. Recommended for groups and families who want to be close to the vivacious nightlife, bars, restaurants and attractions of Key West. Groups looking to ride scooters, bike or walk as their main mode of transportation are perfect for Old Town, as parking is often limited. Enjoy being near the best restaurants, close to beautiful historic architecture and the Historic Seaport. 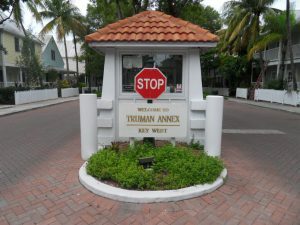 Truman Annex is an exclusive gated community on the ocean and in the heart of Old Town. President Harry Truman spent his winters here at his home, famously known as “The Little White House” and often joked about relocating America’s Capital to Key West. In Truman Annex, you’ll find impeccably maintained grounds, white picket fences alongside quiet streets and sidewalks. It’s a quieter part of Old Town, but still within walking distance to Duval Street and many downtown restaurants and attractions. Truman Annex is appealing for both its Key West charm and modern comforts. Just out the gate towards the ocean is Fort Zachary Taylor State Park, featuring one of the nicest beaches on the island. Recommended for groups and families that want to spend a week or longer in a vacation home that is close to Duval Street, yet “away from it all”. Truman Annex is a desirable quiet residence where you are just a couple minutes from Duval Street, the center of downtown, and the Mallory Square Sunset Celebration. However, if you’re a group coming to Key West for the party atmosphere, this may not be the best location for you. This neighborhood closely monitors noise and security issues in order to keep the community nice and quiet for residents. Even though Key West is an island, a common misconception is that there is plenty of beachfront property. 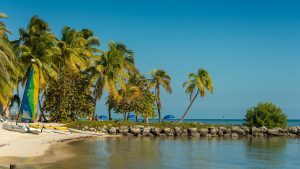 In reality, there are not many beachfront properties in Key West, as much of the beachfront land is either public beach, Navy land, or hotels. The primary beachfront property in Key West is located near Smathers Beach. Smathers Beach is one of four beaches in Key West, and is located on the north Atlantic Ocean side of the island. The Smathers Beach neighborhood is home to the Key West International Airport, as well as a handful of restaurants and attractions. The accommodations in this area include multiple hotel options, private homes, condos and apartment complexes. 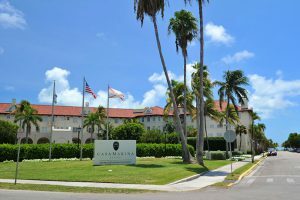 The majority of our properties in this neighborhood are located at The 1800 Atlantic Condominium Complex and at The Key West Beach Club. 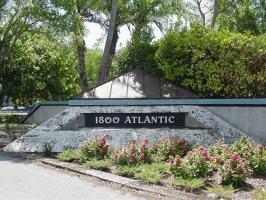 The 1800 Atlantic Condominium Complex is an upscale private community featuring picturesque balcony views, modern amenities and is located within a short bike or Uber ride to many favorite Key West sites. The residence offers a Resort-Style Community Pool, an oversized Jacuzzi, a cabana with restrooms, picnic tables and BBQ grills. When you stay at 1800 Atlantic you have direct beach access and are steps away from Smathers Beach which is located around the corner. 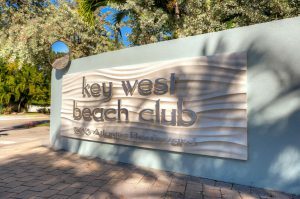 The Key West Beach Club is a quiet residential condominium complex located right on the Atlantic Ocean. This property offers two pools, a fitness center and incredible ocean views. It is in a great location, perfect for biking or walking to town and to restaurants. Recommended for groups and families who love the beach, sun, value great views, and dig modern amenities. This quiet tropical paradise is perfect for R&R, in a great location that avoids downtown noise. You will only be a short bike or Uber ride from all the action of Old Town. The Casa Marina neighborhood is the southern area of the island running along the Atlantic Ocean. This neighborhood is close to Old Town, but is not technically considered “Old Town” by those who apply that definition strictly. This unique area is laidback, quiet, and beautiful. At Casa Marina, you will enjoy exclusivity – a quiet residential feel with generally larger homes. They often feature more spacious properties than in Old Town. Dog lovers will also love this area for the “Dog Beach” and for the popular community dog park. Recommended for groups and families looking for a quiet residential neighborhood with spacious homes on typically larger lots all located just a quick bike ride or walk to Higgs beach / White Street Pier and a short Uber ride to Duval. MidTown/New Town is a neighborhood primarily known as home to many locals, although you will find plenty of shopping centers, grocery stores, restaurants, etc. 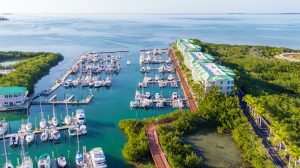 Several canals allow access to open water, something you won’t find – except at the marinas – in any other part of Key West. Over the years, homeowners have updated and renovated these sometimes larger Mid-Century homes which are now upscale villas featuring private pools, larger lots, and private gardens. 20 minutes in a scooter or car gets you to the heart of Old Town. Recommended for groups and families who have a boat and desire canal access. Great for those interested in homes that can be a little larger offering ample parking, larger properties and are away from the busy streets of Old Town. Not recommended for those looking to stick strictly to walking, as many of the homes in these areas require a car ride to get downtown. Stock Island is located just outside the entrance to Key West and is what you may consider a ‘suburb’ of the main island. It is quickly growing with residential areas and commercial businesses, including many fishing and water adventure companies. Many of our rentals in this neighborhood have the perk of being near the water, whether that is on a canal or with a view of the Gulf or Ocean. Sunset Marina is private condo complex is about 5 miles from Old Town directly on the Florida Bay. This gated community has a large community pool, a clubhouse and boat slips. All of these two and three-bedroom condos feature balconies with direct water views. The condos are available for monthly rental, many with their own boat slips. 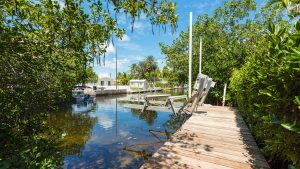 If you are renting for a month or more, and don’t mind a 10-minute Uber ride or 20-minute bike ride into town, this quiet, gated, waterfront community is the right place for you. Recommended for nautical focused groups who have a boat and want to rent a slip. Sunset Marina is great for fishing enthusiasts, couples and families who like peace and quiet, boating, and amazing sunset views from your own private balcony. The Key West Golf Club sits right at the entrance to Key West. This planned gated community offers 24-hour security, with tropical town homes and private residences surrounding an 18-hole 6500-yard Rees Jones golf course. Enjoy one of the largest resort-style pools in Key West and a fitness room. The Key West Golf Club area has an inviting, polished, suburb vibe. Recommended for groups and families seeking a quiet neighborhood and don’t mind being a 10-15 minute drive or Uber ride from Old Town. This area is ideal for golf enthusiasts and vacationers who enjoy the quiet and local feeling of a less commercialized area.